The Tucson Improv Movement continues to perform every Saturday at 4 PM. Join us for an exciting slate of shows. 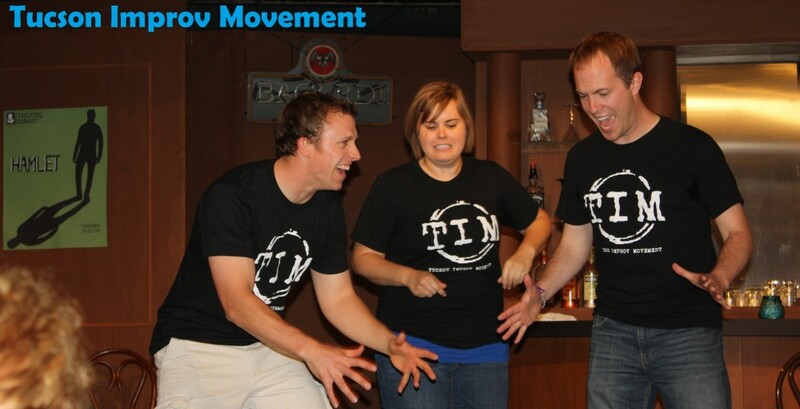 Our talented company of performers create improv comedy, based on your suggestions, right in front of your eyes! Come Laugh with TIM! Improv Jam is our headline show, featuring short and mid form improv comedy. Lots of audience participation and fun! This entry was posted in Shows by tucsonimprov. Bookmark the permalink.